Exclusive! A great on the go companion! Oversized and extra sturdy, our carry all treks to the market, the gym, the park. 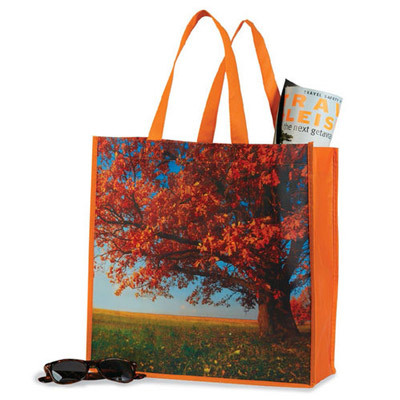 A majestic tree with autumn bright leaves printed on front and back. Strong, non woven polyester fabric with fabric handles. Imported. 14"w, 12"l handles. Hurry! Quantities are limited!